Whether you’re in the market for a new Mercedes-Benz SUV or your next E-Class or C-Class, you can rely on Mercedes-Benz of Modesto near Stockton for your next Mercedes-Benz purchase. With a rotating inventory of new vehicle specials – as well as fantastic offers on SUVs – our friendly staff is here to help you find a new and reliable Mercedes-Benz at a price you can afford. When you’re ready to take the trip from Merced to Modesto, feel free to contact us to set up a test drive. We’ll get you situated in one of our 132 Mercedes-Benz cars. FUEL EFFICIENT 24 MPG Hwy/21 MPG City! Arctic White exterior and Tunja Black Upholstery interior, Metris Cargo Van trim. Turbo Charged READ MORE! KEY FEATURES INCLUDE Back-Up Camera, Turbocharged, iPod/MP3 Input, Bluetooth MP3 Player, Third Passenger Door, Keyless Entry, Electronic Stability Control, Bucket Seats. Mercedes-Benz Metris Cargo Van with Arctic White exterior and Tunja Black Upholstery interior features a 4 Cylinder Engine with 208 HP at 5500 RPM*. EXPERTS ARE SAYING Great Gas Mileage: 24 MPG Hwy. WHY BUY FROM US Mercedes-Benz of Modesto in Modesto, CA treats the needs of each individual customer with paramount concern. We know that you have high expectations, and as an automotive dealer we enjoy the challenge of meeting and exceeding those standards each and every time. Allow us to demonstrate our commitment to excellence! Our experienced sales staff is eager to share its knowledge and enthusiasm with you. We encourage you to browse our online inventory, schedule a test drive and investigate financing. Horsepower calculations based on trim engine configuration. Fuel economy calculations based on original manufacturer data for trim engine configuration. Please confirm the accuracy of the included equipment by calling us prior to purchase.FUEL EFFICIENT 24 MPG Hwy/21 MPG City! Arctic White exterior and Tunja Black Upholstery interior, Metris Cargo Van trim. Turbo Charged READ MORE! Back-Up Camera. Arctic White exterior and Tunja Black Upholstery interior, Metris Cargo Van trim. FUEL EFFICIENT 24 MPG Hwy/21 MPG City! SEE MORE! KEY FEATURES INCLUDE Back-Up Camera, Turbocharged, iPod/MP3 Input, Bluetooth MP3 Player, Third Passenger Door, Keyless Entry, Electronic Stability Control, Bucket Seats. Mercedes-Benz Metris Cargo Van with Arctic White exterior and Tunja Black Upholstery interior features a 4 Cylinder Engine with 208 HP at 5500 RPM*. EXPERTS REPORT Great Gas Mileage: 24 MPG Hwy. WHO WE ARE Mercedes-Benz of Modesto in Modesto, CA treats the needs of each individual customer with paramount concern. We know that you have high expectations, and as an automotive dealer we enjoy the challenge of meeting and exceeding those standards each and every time. Allow us to demonstrate our commitment to excellence! Our experienced sales staff is eager to share its knowledge and enthusiasm with you. We encourage you to browse our online inventory, schedule a test drive and investigate financing. Horsepower calculations based on trim engine configuration. Fuel economy calculations based on original manufacturer data for trim engine configuration. Please confirm the accuracy of the included equipment by calling us prior to purchase.Back-Up Camera. Arctic White exterior and Tunja Black Upholstery interior, Metris Cargo Van trim. FUEL EFFICIENT 24 MPG Hwy/21 MPG City! SEE MORE! EPA 24 MPG Hwy/21 MPG City! Arctic White exterior and Tunja Black Upholstery interior, Metris Cargo Van trim. iPod/MP3 Input CLICK NOW! KEY FEATURES INCLUDE Back-Up Camera, Turbocharged, iPod/MP3 Input, Bluetooth. MP3 Player, Third Passenger Door, Keyless Entry, Electronic Stability Control, Bucket Seats. Mercedes-Benz Metris Cargo Van with Arctic White exterior and Tunja Black Upholstery interior features a 4 Cylinder Engine with 208 HP at 5500 RPM*. EXPERTS CONCLUDE Great Gas Mileage: 24 MPG Hwy. WHY BUY FROM US Mercedes-Benz of Modesto in Modesto, CA treats the needs of each individual customer with paramount concern. We know that you have high expectations, and as an automotive dealer we enjoy the challenge of meeting and exceeding those standards each and every time. Allow us to demonstrate our commitment to excellence! Our experienced sales staff is eager to share its knowledge and enthusiasm with you. We encourage you to browse our online inventory, schedule a test drive and investigate financing. Horsepower calculations based on trim engine configuration. Fuel economy calculations based on original manufacturer data for trim engine configuration. Please confirm the accuracy of the included equipment by calling us prior to purchase.EPA 24 MPG Hwy/21 MPG City! Arctic White exterior and Tunja Black Upholstery interior, Metris Cargo Van trim. iPod/MP3 Input CLICK NOW! Back-Up Camera, Turbocharged, iPod/MP3 Input, Bluetooth. MP3 Player, Third Passenger Door, Keyless Entry, Electronic Stability Control, Bucket Seats. Mercedes-Benz Metris Cargo Van with Arctic White exterior and Tunja Black Upholstery interior features a 4 Cylinder Engine with 208 HP at 5500 RPM*. Arctic White exterior and Tunja Black Upholstery interior, Metris Cargo Van trim. Back-Up Camera. FUEL EFFICIENT 24 MPG Hwy/21 MPG City! AND MORE! KEY FEATURES INCLUDE Back-Up Camera, Turbocharged, iPod/MP3 Input, Bluetooth MP3 Player, Third Passenger Door, Keyless Entry, Electronic Stability Control, Bucket Seats. Mercedes-Benz Metris Cargo Van with Arctic White exterior and Tunja Black Upholstery interior features a 4 Cylinder Engine with 208 HP at 5500 RPM*. VEHICLE REVIEWS Great Gas Mileage: 24 MPG Hwy. WHY BUY FROM US Mercedes-Benz of Modesto in Modesto, CA treats the needs of each individual customer with paramount concern. We know that you have high expectations, and as an automotive dealer we enjoy the challenge of meeting and exceeding those standards each and every time. Allow us to demonstrate our commitment to excellence! Our experienced sales staff is eager to share its knowledge and enthusiasm with you. We encourage you to browse our online inventory, schedule a test drive and investigate financing. Horsepower calculations based on trim engine configuration. Fuel economy calculations based on original manufacturer data for trim engine configuration. Please confirm the accuracy of the included equipment by calling us prior to purchase.Arctic White exterior and Tunja Black Upholstery interior, Metris Cargo Van trim. Back-Up Camera. FUEL EFFICIENT 24 MPG Hwy/21 MPG City! AND MORE! Sprinter Cargo Van trim, Arctic White exterior and Leatherette Black interior. Onboard Communications System, Smart Device Integration. CLICK ME! KEY FEATURES INCLUDE Back-Up Camera, Turbocharged, iPod/MP3 Input, Onboard Communications System, Smart Device Integration MP3 Player, Third Passenger Door, Keyless Entry, Electronic Stability Control, Bucket Seats. OPTION PACKAGES BLIND SPOT ASSIST, HEATED & ELECTRICALLY ADJUSTABLE EXTERIOR MIRRORS, CRUISE CONTROL. Mercedes-Benz Sprinter Cargo Van with Arctic White exterior and Leatherette Black interior features a 4 Cylinder Engine with 188 HP at 5000 RPM*. WHY BUY FROM US Mercedes-Benz of Modesto in Modesto, CA treats the needs of each individual customer with paramount concern. We know that you have high expectations, and as an automotive dealer we enjoy the challenge of meeting and exceeding those standards each and every time. Allow us to demonstrate our commitment to excellence! Our experienced sales staff is eager to share its knowledge and enthusiasm with you. We encourage you to browse our online inventory, schedule a test drive and investigate financing. Horsepower calculations based on trim engine configuration. Please confirm the accuracy of the included equipment by calling us prior to purchase.Sprinter Cargo Van trim, Arctic White exterior and Leatherette Black interior. Onboard Communications System, Smart Device Integration. CLICK ME! BLIND SPOT ASSIST, HEATED & ELECTRICALLY ADJUSTABLE EXTERIOR MIRRORS, CRUISE CONTROL. Mercedes-Benz Sprinter Cargo Van with Arctic White exterior and Leatherette Black interior features a 4 Cylinder Engine with 188 HP at 5000 RPM*. Heated Seats, iPod/MP3 Input. GLA 250 trim, Polar White exterior and Sahara Beige MB-Tex interior. FUEL EFFICIENT 33 MPG Hwy/24 MPG City! CLICK ME! KEY FEATURES INCLUDE Power Liftgate, Back-Up Camera, Turbocharged, iPod/MP3 Input, CD Player Rear Spoiler, MP3 Player, Privacy Glass, Steering Wheel Controls, Child Safety Locks. OPTION PACKAGES PREMIUM PACKAGE KEYLESS-GO, Blind Spot Assist, Heated Front Seats, SIRIUSXM Satellite Radio, HANDS-FREE ACCESS, CONVENIENCE PACKAGE Garage Door Opener, Auto-Dimming Rearview & Driver-Side Mirrors, SMARTPHONE INTEGRATION Android Auto, Apple CarPlay, Smartphone Integration (14U), SATIN BROWN POPLAR WOOD TRIM. Mercedes-Benz GLA 250 with Polar White exterior and Sahara Beige MB-Tex interior features a 4 Cylinder Engine with 208 HP at 5500 RPM*. EXPERTS ARE SAYING Great Gas Mileage: 33 MPG Hwy. OUR OFFERINGS Mercedes-Benz of Modesto in Modesto, CA treats the needs of each individual customer with paramount concern. We know that you have high expectations, and as an automotive dealer we enjoy the challenge of meeting and exceeding those standards each and every time. Allow us to demonstrate our commitment to excellence! Our experienced sales staff is eager to share its knowledge and enthusiasm with you. We encourage you to browse our online inventory, schedule a test drive and investigate financing. Horsepower calculations based on trim engine configuration. Fuel economy calculations based on original manufacturer data for trim engine configuration. Please confirm the accuracy of the included equipment by calling us prior to purchase.Heated Seats, iPod/MP3 Input. GLA 250 trim, Polar White exterior and Sahara Beige MB-Tex interior. FUEL EFFICIENT 33 MPG Hwy/24 MPG City! CLICK ME! Power Liftgate, Back-Up Camera, Turbocharged, iPod/MP3 Input, CD Player Rear Spoiler, MP3 Player, Privacy Glass, Steering Wheel Controls, Child Safety Locks. PREMIUM PACKAGE KEYLESS-GO, Blind Spot Assist, Heated Front Seats, SIRIUSXM Satellite Radio, HANDS-FREE ACCESS, CONVENIENCE PACKAGE Garage Door Opener, Auto-Dimming Rearview & Driver-Side Mirrors, SMARTPHONE INTEGRATION Android Auto, Apple CarPlay, Smartphone Integration (14U), SATIN BROWN POPLAR WOOD TRIM. Mercedes-Benz GLA 250 with Polar White exterior and Sahara Beige MB-Tex interior features a 4 Cylinder Engine with 208 HP at 5500 RPM*. Heated Seats. CLA 250 trim, Lunar Blue Metallic exterior and Crystal Grey MB-Tex interior. FUEL EFFICIENT 37 MPG Hwy/24 MPG City! CLICK ME! KEY FEATURES INCLUDE Back-Up Camera, Turbocharged, iPod/MP3 Input, Onboard Communications System, Remote Engine Start. MP3 Player, Child Safety Locks, Steering Wheel Controls, Heated Mirrors, Electronic Stability Control. OPTION PACKAGES PREMIUM PACKAGE KEYLESS-GO, Blind Spot Assist, Heated Front Seats, SiriusXM Satellite Radio, HANDS-FREE ACCESS, harman/kardon PREMIUM SOUND SYSTEM, WHEELS: 18 5-SPOKE MULTI-SPOKE Tires: P225/40R18, SMARTPHONE INTEGRATION Android Auto, Apple CarPlay, Smartphone Integration (14U). Mercedes-Benz CLA 250 with Lunar Blue Metallic exterior and Crystal Grey MB-Tex interior features a 4 Cylinder Engine with 208 HP at 5500 RPM*. EXPERTS CONCLUDE Great Gas Mileage: 37 MPG Hwy. WHO WE ARE Mercedes-Benz of Modesto in Modesto, CA treats the needs of each individual customer with paramount concern. We know that you have high expectations, and as an automotive dealer we enjoy the challenge of meeting and exceeding those standards each and every time. Allow us to demonstrate our commitment to excellence! Our experienced sales staff is eager to share its knowledge and enthusiasm with you. We encourage you to browse our online inventory, schedule a test drive and investigate financing. Horsepower calculations based on trim engine configuration. Fuel economy calculations based on original manufacturer data for trim engine configuration. Please confirm the accuracy of the included equipment by calling us prior to purchase.Heated Seats. CLA 250 trim, Lunar Blue Metallic exterior and Crystal Grey MB-Tex interior. FUEL EFFICIENT 37 MPG Hwy/24 MPG City! CLICK ME! Moonroof, Heated Seats, iPod/MP3 Input. EPA 37 MPG Hwy/24 MPG City! CLA 250 trim, Polar White exterior and Black MB-Tex interior SEE MORE! KEY FEATURES INCLUDE Back-Up Camera, Turbocharged, iPod/MP3 Input, CD Player, Onboard Communications System. MP3 Player, Child Safety Locks, Steering Wheel Controls, Electronic Stability Control, Heated Mirrors. OPTION PACKAGES PREMIUM PACKAGE KEYLESS-GO, Blind Spot Assist, Heated Front Seats, SiriusXM Satellite Radio, HANDS-FREE ACCESS, PANORAMA SUNROOF, WHEELS: 18 5-SPOKE ALLOY Tires: P225/40R18, SMARTPHONE INTEGRATION Android Auto, Apple CarPlay, Smartphone Integration (14U), MATTE BLACK ASH WOOD TRIM, REAR SPOILER. Mercedes-Benz CLA 250 with Polar White exterior and Black MB-Tex interior features a 4 Cylinder Engine with 208 HP at 5500 RPM*. EXPERTS RAVE Great Gas Mileage: 37 MPG Hwy. WHY BUY FROM US Mercedes-Benz of Modesto in Modesto, CA treats the needs of each individual customer with paramount concern. We know that you have high expectations, and as an automotive dealer we enjoy the challenge of meeting and exceeding those standards each and every time. Allow us to demonstrate our commitment to excellence! Our experienced sales staff is eager to share its knowledge and enthusiasm with you. We encourage you to browse our online inventory, schedule a test drive and investigate financing. Horsepower calculations based on trim engine configuration. Fuel economy calculations based on original manufacturer data for trim engine configuration. Please confirm the accuracy of the included equipment by calling us prior to purchase.Moonroof, Heated Seats, iPod/MP3 Input. EPA 37 MPG Hwy/24 MPG City! CLA 250 trim, Polar White exterior and Black MB-Tex interior SEE MORE! Moonroof, Nav System. A 220 trim, Cosmos Black Metallic exterior and Black MB-Tex interior. FUEL EFFICIENT 35 MPG Hwy/24 MPG City! SEE MORE! KEY FEATURES INCLUDE Sunroof, Panoramic Roof, Back-Up Camera, Turbocharged, iPod/MP3 Input MP3 Player, Steering Wheel Controls, Child Safety Locks, Heated Mirrors, Electronic Stability Control. OPTION PACKAGES PREMIUM PACKAGE 10.25 Digital Instrument Cluster Display, KEYLESS-GO Package, KEYLESS-GO, HANDS-FREE ACCESS, Connect20, 10.25 Touchscreen Multimedia Display, Mirror Package, Auto-Dimming Rearview & Driver-Side Mirrors, Power Folding Side Mirrors, MULTIMEDIA PACKAGE Traffic Sign Assist, Augmented Video for Navigation, MB Navigation, Mercedes Me Essentials Package, Navigation Services, OTA Navigation Map Updates, BLIND SPOT ASSIST exit warning assist, SIRIUSXM RADIO free trial period, GARAGE DOOR OPENER. Mercedes-Benz A 220 with Cosmos Black Metallic exterior and Black MB-Tex interior features a 4 Cylinder Engine with 188 HP at 5800 RPM*. EXPERTS REPORT Great Gas Mileage: 35 MPG Hwy. BUY FROM AN AWARD WINNING DEALER Mercedes-Benz of Modesto in Modesto, CA treats the needs of each individual customer with paramount concern. We know that you have high expectations, and as an automotive dealer we enjoy the challenge of meeting and exceeding those standards each and every time. Allow us to demonstrate our commitment to excellence! Our experienced sales staff is eager to share its knowledge and enthusiasm with you. We encourage you to browse our online inventory, schedule a test drive and investigate financing. Horsepower calculations based on trim engine configuration. Fuel economy calculations based on original manufacturer data for trim engine configuration. Please confirm the accuracy of the included equipment by calling us prior to purchase.Moonroof, Nav System. A 220 trim, Cosmos Black Metallic exterior and Black MB-Tex interior. FUEL EFFICIENT 35 MPG Hwy/24 MPG City! SEE MORE! Sunroof, Heated Seats, Turbo. A 220 trim, Iridium Silver Metallic exterior and Black MB-Tex interior. EPA 35 MPG Hwy/24 MPG City! SEE MORE! KEY FEATURES INCLUDE Sunroof, Panoramic Roof, Back-Up Camera, Turbocharged, iPod/MP3 Input. MP3 Player, Steering Wheel Controls, Child Safety Locks, Electronic Stability Control, Heated Mirrors. OPTION PACKAGES PREMIUM PACKAGE 10.25 Digital Instrument Cluster Display, KEYLESS-GO Package, KEYLESS-GO, HANDS-FREE ACCESS, Connect20, 10.25 Touchscreen Multimedia Display, Mirror Package, Auto-Dimming Rearview & Driver-Side Mirrors, Power Folding Side Mirrors, BURMESTER SURROUND SOUND SYSTEM, HEATED FRONT SEATS, BLIND SPOT ASSIST exit warning assist, WHEELS: 18 5-SPOKE W/BLACK ACCENTS Tires: 225/45R18, MOE Tires (Extended Mobility), SIRIUSXM RADIO free trial period, GARAGE DOOR OPENER. Mercedes-Benz A 220 with Iridium Silver Metallic exterior and Black MB-Tex interior features a 4 Cylinder Engine with 188 HP at 5800 RPM*. EXPERTS ARE SAYING Great Gas Mileage: 35 MPG Hwy. MORE ABOUT US Mercedes-Benz of Modesto in Modesto, CA treats the needs of each individual customer with paramount concern. We know that you have high expectations, and as an automotive dealer we enjoy the challenge of meeting and exceeding those standards each and every time. Allow us to demonstrate our commitment to excellence! Our experienced sales staff is eager to share its knowledge and enthusiasm with you. We encourage you to browse our online inventory, schedule a test drive and investigate financing. Horsepower calculations based on trim engine configuration. Fuel economy calculations based on original manufacturer data for trim engine configuration. Please confirm the accuracy of the included equipment by calling us prior to purchase.Sunroof, Heated Seats, Turbo. A 220 trim, Iridium Silver Metallic exterior and Black MB-Tex interior. EPA 35 MPG Hwy/24 MPG City! SEE MORE! Sunroof, Panoramic Roof, Back-Up Camera, Turbocharged, iPod/MP3 Input. MP3 Player, Steering Wheel Controls, Child Safety Locks, Electronic Stability Control, Heated Mirrors. PREMIUM PACKAGE 10.25 Digital Instrument Cluster Display, KEYLESS-GO Package, KEYLESS-GO, HANDS-FREE ACCESS, Connect20, 10.25 Touchscreen Multimedia Display, Mirror Package, Auto-Dimming Rearview & Driver-Side Mirrors, Power Folding Side Mirrors, BURMESTER SURROUND SOUND SYSTEM, HEATED FRONT SEATS, BLIND SPOT ASSIST exit warning assist, WHEELS: 18 5-SPOKE W/BLACK ACCENTS Tires: 225/45R18, MOE Tires (Extended Mobility), SIRIUSXM RADIO free trial period, GARAGE DOOR OPENER. Mercedes-Benz A 220 with Iridium Silver Metallic exterior and Black MB-Tex interior features a 4 Cylinder Engine with 188 HP at 5800 RPM*. Sunroof, Heated Seats. CLA 250 trim, Mountain Grey exterior and Black MB-Tex interior. FUEL EFFICIENT 37 MPG Hwy/24 MPG City! READ MORE! KEY FEATURES INCLUDE Back-Up Camera, Turbocharged, iPod/MP3 Input, CD Player, Onboard Communications System. MP3 Player, Steering Wheel Controls, Child Safety Locks, Heated Mirrors, Electronic Stability Control. OPTION PACKAGES PREMIUM PACKAGE KEYLESS-GO, Blind Spot Assist, Heated Front Seats, SiriusXM Satellite Radio, HANDS-FREE ACCESS, PANORAMA SUNROOF, WHEELS: 18 5-SPOKE ALLOY Tires: P225/40R18, SMARTPHONE INTEGRATION Android Auto, Apple CarPlay, Smartphone Integration (14U), MATTE BLACK ASH WOOD TRIM, REAR SPOILER. Mercedes-Benz CLA 250 with Mountain Grey exterior and Black MB-Tex interior features a 4 Cylinder Engine with 208 HP at 5500 RPM*. EXPERTS ARE SAYING Great Gas Mileage: 37 MPG Hwy. OUR OFFERINGS Mercedes-Benz of Modesto in Modesto, CA treats the needs of each individual customer with paramount concern. We know that you have high expectations, and as an automotive dealer we enjoy the challenge of meeting and exceeding those standards each and every time. Allow us to demonstrate our commitment to excellence! Our experienced sales staff is eager to share its knowledge and enthusiasm with you. We encourage you to browse our online inventory, schedule a test drive and investigate financing. Horsepower calculations based on trim engine configuration. Fuel economy calculations based on original manufacturer data for trim engine configuration. Please confirm the accuracy of the included equipment by calling us prior to purchase.Sunroof, Heated Seats. CLA 250 trim, Mountain Grey exterior and Black MB-Tex interior. FUEL EFFICIENT 37 MPG Hwy/24 MPG City! READ MORE! Back-Up Camera, Turbocharged, iPod/MP3 Input, CD Player, Onboard Communications System. MP3 Player, Steering Wheel Controls, Child Safety Locks, Heated Mirrors, Electronic Stability Control. PREMIUM PACKAGE KEYLESS-GO, Blind Spot Assist, Heated Front Seats, SiriusXM Satellite Radio, HANDS-FREE ACCESS, PANORAMA SUNROOF, WHEELS: 18 5-SPOKE ALLOY Tires: P225/40R18, SMARTPHONE INTEGRATION Android Auto, Apple CarPlay, Smartphone Integration (14U), MATTE BLACK ASH WOOD TRIM, REAR SPOILER. Mercedes-Benz CLA 250 with Mountain Grey exterior and Black MB-Tex interior features a 4 Cylinder Engine with 208 HP at 5500 RPM*. Moonroof, Heated Seats, iPod/MP3 Input. Polar White exterior and Crystal Grey MB-Tex interior, CLA 250 trim. EPA 37 MPG Hwy/24 MPG City! AND MORE! KEY FEATURES INCLUDE Back-Up Camera, Turbocharged, iPod/MP3 Input, CD Player, Onboard Communications System. MP3 Player, Steering Wheel Controls, Child Safety Locks, Electronic Stability Control, Heated Mirrors. OPTION PACKAGES PREMIUM PACKAGE KEYLESS-GO, Blind Spot Assist, Heated Front Seats, SiriusXM Satellite Radio, HANDS-FREE ACCESS, PANORAMA SUNROOF, LED HEADLAMPS, WHEELS: 18 5-SPOKE ALLOY Tires: P225/40R18, CONVENIENCE PACKAGE Garage Door Opener, Auto-Dimming Rearview & Driver-Side Mirrors, SMARTPHONE INTEGRATION Android Auto, Apple CarPlay, Smartphone Integration (14U), REAR SPOILER. Mercedes-Benz CLA 250 with Polar White exterior and Crystal Grey MB-Tex interior features a 4 Cylinder Engine with 208 HP at 5500 RPM*. EXPERTS ARE SAYING Great Gas Mileage: 37 MPG Hwy. WHO WE ARE Mercedes-Benz of Modesto in Modesto, CA treats the needs of each individual customer with paramount concern. We know that you have high expectations, and as an automotive dealer we enjoy the challenge of meeting and exceeding those standards each and every time. Allow us to demonstrate our commitment to excellence! Our experienced sales staff is eager to share its knowledge and enthusiasm with you. We encourage you to browse our online inventory, schedule a test drive and investigate financing. Horsepower calculations based on trim engine configuration. Fuel economy calculations based on original manufacturer data for trim engine configuration. Please confirm the accuracy of the included equipment by calling us prior to purchase.Moonroof, Heated Seats, iPod/MP3 Input. Polar White exterior and Crystal Grey MB-Tex interior, CLA 250 trim. EPA 37 MPG Hwy/24 MPG City! AND MORE! Back-Up Camera, Turbocharged, iPod/MP3 Input, CD Player, Onboard Communications System. MP3 Player, Steering Wheel Controls, Child Safety Locks, Electronic Stability Control, Heated Mirrors. PREMIUM PACKAGE KEYLESS-GO, Blind Spot Assist, Heated Front Seats, SiriusXM Satellite Radio, HANDS-FREE ACCESS, PANORAMA SUNROOF, LED HEADLAMPS, WHEELS: 18 5-SPOKE ALLOY Tires: P225/40R18, CONVENIENCE PACKAGE Garage Door Opener, Auto-Dimming Rearview & Driver-Side Mirrors, SMARTPHONE INTEGRATION Android Auto, Apple CarPlay, Smartphone Integration (14U), REAR SPOILER. Mercedes-Benz CLA 250 with Polar White exterior and Crystal Grey MB-Tex interior features a 4 Cylinder Engine with 208 HP at 5500 RPM*. Heated Seats, Sunroof. GLA 250 trim, Mountain Grey Metallic exterior and Crystal Grey MB-Tex interior. EPA 33 MPG Hwy/24 MPG City! SEE MORE! KEY FEATURES INCLUDE Power Liftgate, Back-Up Camera, Turbocharged, iPod/MP3 Input, CD Player Rear Spoiler, MP3 Player, Privacy Glass, Steering Wheel Controls, Child Safety Locks. OPTION PACKAGES PREMIUM PACKAGE KEYLESS-GO, Blind Spot Assist, Heated Front Seats, SIRIUSXM Satellite Radio, HANDS-FREE ACCESS, PANORAMA SUNROOF, CONVENIENCE PACKAGE Garage Door Opener, Auto-Dimming Rearview & Driver-Side Mirrors, SMARTPHONE INTEGRATION Android Auto, Apple CarPlay, Smartphone Integration (14U). Mercedes-Benz GLA 250 with Mountain Grey Metallic exterior and Crystal Grey MB-Tex interior features a 4 Cylinder Engine with 208 HP at 5500 RPM*. VEHICLE REVIEWS Great Gas Mileage: 33 MPG Hwy. BUY FROM AN AWARD WINNING DEALER Mercedes-Benz of Modesto in Modesto, CA treats the needs of each individual customer with paramount concern. We know that you have high expectations, and as an automotive dealer we enjoy the challenge of meeting and exceeding those standards each and every time. Allow us to demonstrate our commitment to excellence! Our experienced sales staff is eager to share its knowledge and enthusiasm with you. We encourage you to browse our online inventory, schedule a test drive and investigate financing. Horsepower calculations based on trim engine configuration. Fuel economy calculations based on original manufacturer data for trim engine configuration. Please confirm the accuracy of the included equipment by calling us prior to purchase.Heated Seats, Sunroof. GLA 250 trim, Mountain Grey Metallic exterior and Crystal Grey MB-Tex interior. EPA 33 MPG Hwy/24 MPG City! SEE MORE! PREMIUM PACKAGE KEYLESS-GO, Blind Spot Assist, Heated Front Seats, SIRIUSXM Satellite Radio, HANDS-FREE ACCESS, PANORAMA SUNROOF, CONVENIENCE PACKAGE Garage Door Opener, Auto-Dimming Rearview & Driver-Side Mirrors, SMARTPHONE INTEGRATION Android Auto, Apple CarPlay, Smartphone Integration (14U). Mercedes-Benz GLA 250 with Mountain Grey Metallic exterior and Crystal Grey MB-Tex interior features a 4 Cylinder Engine with 208 HP at 5500 RPM*. Moonroof, Heated Seats, Turbo Charged. CLA 250 trim, Polar White exterior and Sahara Beige MB-Tex interior. EPA 37 MPG Hwy/24 MPG City! AND MORE! KEY FEATURES INCLUDE Back-Up Camera, Turbocharged, iPod/MP3 Input, Onboard Communications System, Remote Engine Start MP3 Player, Child Safety Locks, Steering Wheel Controls, Heated Mirrors, Electronic Stability Control. OPTION PACKAGES PREMIUM PACKAGE KEYLESS-GO, Blind Spot Assist, Heated Front Seats, SiriusXM Satellite Radio, HANDS-FREE ACCESS, PANORAMA SUNROOF, LED HEADLAMPS, harman/kardon PREMIUM SOUND SYSTEM, WHEELS: 18 5-SPOKE ALLOY Tires: P225/40R18, CONVENIENCE PACKAGE Garage Door Opener, Auto-Dimming Rearview & Driver-Side Mirrors, SMARTPHONE INTEGRATION Android Auto, Apple CarPlay, Smartphone Integration (14U), MATTE BLACK ASH WOOD TRIM, REAR SPOILER. Mercedes-Benz CLA 250 with Polar White exterior and Sahara Beige MB-Tex interior features a 4 Cylinder Engine with 208 HP at 5500 RPM*. EXPERTS REPORT Great Gas Mileage: 37 MPG Hwy. VISIT US TODAY Mercedes-Benz of Modesto in Modesto, CA treats the needs of each individual customer with paramount concern. We know that you have high expectations, and as an automotive dealer we enjoy the challenge of meeting and exceeding those standards each and every time. Allow us to demonstrate our commitment to excellence! Our experienced sales staff is eager to share its knowledge and enthusiasm with you. We encourage you to browse our online inventory, schedule a test drive and investigate financing. Horsepower calculations based on trim engine configuration. Fuel economy calculations based on original manufacturer data for trim engine configuration. Please confirm the accuracy of the included equipment by calling us prior to purchase.Moonroof, Heated Seats, Turbo Charged. CLA 250 trim, Polar White exterior and Sahara Beige MB-Tex interior. EPA 37 MPG Hwy/24 MPG City! AND MORE! Back-Up Camera, Turbocharged, iPod/MP3 Input, Onboard Communications System, Remote Engine Start MP3 Player, Child Safety Locks, Steering Wheel Controls, Heated Mirrors, Electronic Stability Control. PREMIUM PACKAGE KEYLESS-GO, Blind Spot Assist, Heated Front Seats, SiriusXM Satellite Radio, HANDS-FREE ACCESS, PANORAMA SUNROOF, LED HEADLAMPS, harman/kardon PREMIUM SOUND SYSTEM, WHEELS: 18 5-SPOKE ALLOY Tires: P225/40R18, CONVENIENCE PACKAGE Garage Door Opener, Auto-Dimming Rearview & Driver-Side Mirrors, SMARTPHONE INTEGRATION Android Auto, Apple CarPlay, Smartphone Integration (14U), MATTE BLACK ASH WOOD TRIM, REAR SPOILER. Mercedes-Benz CLA 250 with Polar White exterior and Sahara Beige MB-Tex interior features a 4 Cylinder Engine with 208 HP at 5500 RPM*. 3rd Row Seat, Back-Up Camera, Rear Air. Metris Passenger Van trim, Brilliant Silver Metallic exterior and Black Leatherette interior. READ MORE! KEY FEATURES INCLUDE Third Row Seat, Rear Air, Back-Up Camera, Turbocharged, iPod/MP3 Input MP3 Player, Keyless Entry, Privacy Glass, Child Safety Locks, Electronic Stability Control. OPTION PACKAGES ELECTRICAL SLIDING DOOR PACKAGE Driver Side Electric Sliding Door, Passenger Side Electric Sliding Door, ENHANCED AC PACKAGE Automatic Climate Control, Air Conditioning Enhanced Power, DRIVER COMFORT PACKAGE Comfort Passenger Seat, lumbar support, Passenger Seat Lumbar Support, Comfort Driver Seat, lumbar support, Driver Seat Lumbar Support, 2 Additional Master Keys, Passenger Seat Backrest Storage Net, Driver Seat Backrest Storage Net, Comfort Suspension, MULTI-FUNCTION STEERING/PREMIUM DISPLAY PACKAGE Leather Rim Steering Wheel w/Chrome Trim, Multifunction Steering Wheel w/Trip Computer, 4.2 Pixel Matrix Display, chrome dials, Rain Sensor, HEATED & ELECTRICALLY ADJUSTABLE EXTERIOR MIRRORS. Mercedes-Benz Metris Passenger Van with Brilliant Silver Metallic exterior and Black Leatherette interior features a 4 Cylinder Engine with 208 HP at 5500 RPM*. MORE ABOUT US Mercedes-Benz of Modesto in Modesto, CA treats the needs of each individual customer with paramount concern. We know that you have high expectations, and as an automotive dealer we enjoy the challenge of meeting and exceeding those standards each and every time. Allow us to demonstrate our commitment to excellence! Our experienced sales staff is eager to share its knowledge and enthusiasm with you. We encourage you to browse our online inventory, schedule a test drive and investigate financing. Horsepower calculations based on trim engine configuration. Please confirm the accuracy of the included equipment by calling us prior to purchase.3rd Row Seat, Back-Up Camera, Rear Air. Metris Passenger Van trim, Brilliant Silver Metallic exterior and Black Leatherette interior. READ MORE! Heated Seats, Power Liftgate. GLA 250 trim, Polar White exterior and Sahara Beige MB-Tex interior. FUEL EFFICIENT 31 MPG Hwy/23 MPG City! CLICK ME! KEY FEATURES INCLUDE Full-Time 4MATIC All-Wheel Drive, Power Liftgate, Back-Up Camera, Turbocharged, iPod/MP3 Input. Rear Spoiler, MP3 Player, Flex Fuel, Privacy Glass, Child Safety Locks. OPTION PACKAGES PREMIUM PACKAGE KEYLESS-GO, Blind Spot Assist, Heated Front Seats, SIRIUSXM Satellite Radio, HANDS-FREE ACCESS, RADIO: harman/kardon PREMIUM SOUND SYSTEM, FULL LED HEADLAMPS, CONVENIENCE PACKAGE Garage Door Opener, Auto-Dimming Rearview & Driver-Side Mirrors, SMARTPHONE INTEGRATION Android Auto, Apple CarPlay, Smartphone Integration (14U), SATIN BROWN POPLAR WOOD TRIM. Mercedes-Benz GLA 250 with Polar White exterior and Sahara Beige MB-Tex interior features a 4 Cylinder Engine with 208 HP at 5500 RPM*. EXPERTS CONCLUDE Great Gas Mileage: 31 MPG Hwy. BUY FROM AN AWARD WINNING DEALER Mercedes-Benz of Modesto in Modesto, CA treats the needs of each individual customer with paramount concern. We know that you have high expectations, and as an automotive dealer we enjoy the challenge of meeting and exceeding those standards each and every time. Allow us to demonstrate our commitment to excellence! Our experienced sales staff is eager to share its knowledge and enthusiasm with you. We encourage you to browse our online inventory, schedule a test drive and investigate financing. Horsepower calculations based on trim engine configuration. Fuel economy calculations based on original manufacturer data for trim engine configuration. Please confirm the accuracy of the included equipment by calling us prior to purchase.Heated Seats, Power Liftgate. GLA 250 trim, Polar White exterior and Sahara Beige MB-Tex interior. FUEL EFFICIENT 31 MPG Hwy/23 MPG City! CLICK ME! Full-Time 4MATIC All-Wheel Drive, Power Liftgate, Back-Up Camera, Turbocharged, iPod/MP3 Input. Rear Spoiler, MP3 Player, Flex Fuel, Privacy Glass, Child Safety Locks. PREMIUM PACKAGE KEYLESS-GO, Blind Spot Assist, Heated Front Seats, SIRIUSXM Satellite Radio, HANDS-FREE ACCESS, RADIO: harman/kardon PREMIUM SOUND SYSTEM, FULL LED HEADLAMPS, CONVENIENCE PACKAGE Garage Door Opener, Auto-Dimming Rearview & Driver-Side Mirrors, SMARTPHONE INTEGRATION Android Auto, Apple CarPlay, Smartphone Integration (14U), SATIN BROWN POPLAR WOOD TRIM. Mercedes-Benz GLA 250 with Polar White exterior and Sahara Beige MB-Tex interior features a 4 Cylinder Engine with 208 HP at 5500 RPM*. Moonroof, Heated Seats, Power Liftgate. EPA 33 MPG Hwy/24 MPG City! Night Black exterior and Crystal Grey MB-Tex interior, GLA 250 trim SEE MORE! KEY FEATURES INCLUDE Power Liftgate, Back-Up Camera, Turbocharged, iPod/MP3 Input, Onboard Communications System Rear Spoiler, MP3 Player, Privacy Glass, Steering Wheel Controls, Child Safety Locks. OPTION PACKAGES PREMIUM PACKAGE KEYLESS-GO, Blind Spot Assist, Heated Front Seats, SIRIUSXM Satellite Radio, HANDS-FREE ACCESS, PANORAMA SUNROOF, RADIO: harman/kardon PREMIUM SOUND SYSTEM, FULL LED HEADLAMPS, CONVENIENCE PACKAGE Garage Door Opener, Auto-Dimming Rearview & Driver-Side Mirrors, SMARTPHONE INTEGRATION Android Auto, Apple CarPlay, Smartphone Integration (14U), BLACK ASH MATTE WOOD TRIM. Mercedes-Benz GLA 250 with Night Black exterior and Crystal Grey MB-Tex interior features a 4 Cylinder Engine with 208 HP at 5500 RPM*. EXPERTS CONCLUDE Great Gas Mileage: 33 MPG Hwy. OUR OFFERINGS Mercedes-Benz of Modesto in Modesto, CA treats the needs of each individual customer with paramount concern. We know that you have high expectations, and as an automotive dealer we enjoy the challenge of meeting and exceeding those standards each and every time. Allow us to demonstrate our commitment to excellence! Our experienced sales staff is eager to share its knowledge and enthusiasm with you. We encourage you to browse our online inventory, schedule a test drive and investigate financing. Horsepower calculations based on trim engine configuration. Fuel economy calculations based on original manufacturer data for trim engine configuration. Please confirm the accuracy of the included equipment by calling us prior to purchase.Moonroof, Heated Seats, Power Liftgate. EPA 33 MPG Hwy/24 MPG City! Night Black exterior and Crystal Grey MB-Tex interior, GLA 250 trim SEE MORE! Sunroof, Heated Seats, Power Liftgate. GLA 250 trim, Polar White exterior and Sahara Beige MB-Tex interior. EPA 33 MPG Hwy/24 MPG City! SEE MORE! KEY FEATURES INCLUDE Power Liftgate, Back-Up Camera, Turbocharged, iPod/MP3 Input, Onboard Communications System. Rear Spoiler, MP3 Player, Privacy Glass, Child Safety Locks, Steering Wheel Controls. OPTION PACKAGES PREMIUM PACKAGE KEYLESS-GO, Blind Spot Assist, Heated Front Seats, SIRIUSXM Satellite Radio, HANDS-FREE ACCESS, PANORAMA SUNROOF, RADIO: harman/kardon PREMIUM SOUND SYSTEM, FULL LED HEADLAMPS, WHEELS: 19 5-TWIN-SPOKE, MATTE BLACK Tires: 235/45R19 All-Season, CONVENIENCE PACKAGE Garage Door Opener, Auto-Dimming Rearview & Driver-Side Mirrors, SMARTPHONE INTEGRATION Android Auto, Apple CarPlay, Smartphone Integration (14U), SATIN BROWN POPLAR WOOD TRIM. Mercedes-Benz GLA 250 with Polar White exterior and Sahara Beige MB-Tex interior features a 4 Cylinder Engine with 208 HP at 5500 RPM*. EXPERTS REPORT Great Gas Mileage: 33 MPG Hwy. WHY BUY FROM US Mercedes-Benz of Modesto in Modesto, CA treats the needs of each individual customer with paramount concern. We know that you have high expectations, and as an automotive dealer we enjoy the challenge of meeting and exceeding those standards each and every time. Allow us to demonstrate our commitment to excellence! Our experienced sales staff is eager to share its knowledge and enthusiasm with you. We encourage you to browse our online inventory, schedule a test drive and investigate financing. Horsepower calculations based on trim engine configuration. Fuel economy calculations based on original manufacturer data for trim engine configuration. Please confirm the accuracy of the included equipment by calling us prior to purchase.Sunroof, Heated Seats, Power Liftgate. GLA 250 trim, Polar White exterior and Sahara Beige MB-Tex interior. EPA 33 MPG Hwy/24 MPG City! SEE MORE! Heated Seats, Sunroof, Turbo Charged. A 220 trim, Mountain Grey Metallic exterior and Black DINAMICA w/ Red Contrast Stitching interior. AND MORE! KEY FEATURES INCLUDE Sunroof, Panoramic Roof, Back-Up Camera, Turbocharged, iPod/MP3 Input MP3 Player, Child Safety Locks, Steering Wheel Controls, Heated Mirrors, Electronic Stability Control. OPTION PACKAGES AMG LINE chrome-finish diamond-block grille and brakes w/perforated front brake discs, AMG Body Styling, AMG Line Sport Steering Wheel, AMG Floor Mats, Galvanized Shift Paddles, Sport Seats w/Separate Headrests, AMG Line Code, Black Headliner, PREMIUM PACKAGE 10.25 Digital Instrument Cluster Display, KEYLESS-GO Package, KEYLESS-GO, HANDS-FREE ACCESS, Connect20, 10.25 Touchscreen Multimedia Display, Mirror Package, Auto-Dimming Rearview & Driver-Side Mirrors, Power Folding Side Mirrors, BURMESTER SURROUND SOUND SYSTEM, HEATED FRONT SEATS, BLIND SPOT ASSIST exit warning assist, SIRIUSXM RADIO free trial period, NATURAL GRAIN BLACK LINDEN WOOD TRIM, REAR SPOILER, GARAGE DOOR OPENER. Mercedes-Benz A 220 with Mountain Grey Metallic exterior and Black DINAMICA w/ Red Contrast Stitching interior features a 4 Cylinder Engine with 188 HP at 5800 RPM*. EXPERTS ARE SAYING Great Gas Mileage: 35 MPG Hwy. WHO WE ARE Mercedes-Benz of Modesto in Modesto, CA treats the needs of each individual customer with paramount concern. We know that you have high expectations, and as an automotive dealer we enjoy the challenge of meeting and exceeding those standards each and every time. Allow us to demonstrate our commitment to excellence! Our experienced sales staff is eager to share its knowledge and enthusiasm with you. We encourage you to browse our online inventory Horsepower calculations based on trim engine configuration. Fuel economy calculations based on original manufacturer data for trim engine configuration. Please confirm the accuracy of the included equipment by calling us prior to purchase.Heated Seats, Sunroof, Turbo Charged. A 220 trim, Mountain Grey Metallic exterior and Black DINAMICA w/ Red Contrast Stitching interior. AND MORE! Sunroof, Panoramic Roof, Back-Up Camera, Turbocharged, iPod/MP3 Input MP3 Player, Child Safety Locks, Steering Wheel Controls, Heated Mirrors, Electronic Stability Control. AMG LINE chrome-finish diamond-block grille and brakes w/perforated front brake discs, AMG Body Styling, AMG Line Sport Steering Wheel, AMG Floor Mats, Galvanized Shift Paddles, Sport Seats w/Separate Headrests, AMG Line Code, Black Headliner, PREMIUM PACKAGE 10.25 Digital Instrument Cluster Display, KEYLESS-GO Package, KEYLESS-GO, HANDS-FREE ACCESS, Connect20, 10.25 Touchscreen Multimedia Display, Mirror Package, Auto-Dimming Rearview & Driver-Side Mirrors, Power Folding Side Mirrors, BURMESTER SURROUND SOUND SYSTEM, HEATED FRONT SEATS, BLIND SPOT ASSIST exit warning assist, SIRIUSXM RADIO free trial period, NATURAL GRAIN BLACK LINDEN WOOD TRIM, REAR SPOILER, GARAGE DOOR OPENER. Mercedes-Benz A 220 with Mountain Grey Metallic exterior and Black DINAMICA w/ Red Contrast Stitching interior features a 4 Cylinder Engine with 188 HP at 5800 RPM*. Navigation, Moonroof, Heated Seats. EPA 37 MPG Hwy/24 MPG City! Polar White exterior and Sahara Beige MB-Tex interior, CLA 250 trim SEE MORE! KEY FEATURES INCLUDE Back-Up Camera, Turbocharged, iPod/MP3 Input, Onboard Communications System, Dual Zone A/C Steering Wheel Controls, Child Safety Locks, Electronic Stability Control, Heated Mirrors, Bucket Seats. OPTION PACKAGES MULTIMEDIA PACKAGE SiriusXM Traffic and Weather, COMAND Navigation & Voice Control, 8.0 high resolution screen and SiriusXM Traffic and Weather, Single CD/DVD Player, Navigation Map Updates Included For 3 Years, Remote Online, Android Auto, Apple CarPlay, Smartphone Integration (14U), PREMIUM PACKAGE KEYLESS-GO, Blind Spot Assist, Heated Front Seats, SiriusXM Satellite Radio, HANDS-FREE ACCESS, PANORAMA SUNROOF, harman/kardon PREMIUM SOUND SYSTEM, LED HEADLAMPS, WHEELS: 18 5-SPOKE ALLOY Tires: P225/40R18, CONVENIENCE PACKAGE Garage Door Opener, Auto-Dimming Rearview & Driver-Side Mirrors, MATTE BLACK ASH WOOD TRIM. Mercedes-Benz CLA 250 with Polar White exterior and Sahara Beige MB-Tex interior features a 4 Cylinder Engine with 208 HP at 5500 RPM*. EXPERTS REPORT Great Gas Mileage: 37 MPG Hwy. WHO WE ARE Mercedes-Benz of Modesto in Modesto, CA treats the needs of each individual customer with paramount concern. We know that you have high expectations, and as an automotive dealer we enjoy the challenge of meeting and exceeding those standards each and every time. Allow us to demonstrate our commitment to excellence! Our experienced sales staff is eager to share its knowledge and enthusiasm with you. We encourage you to browse our online inventory, schedule a test drive and investigate financing. Horsepower calculations based on trim engine configuration. Fuel economy calculations based on original manufacturer data for trim engine configuration. Please confirm the accuracy of the included equipment by calling us prior to purchase.Navigation, Moonroof, Heated Seats. EPA 37 MPG Hwy/24 MPG City! Polar White exterior and Sahara Beige MB-Tex interior, CLA 250 trim SEE MORE! Back-Up Camera, Turbocharged, iPod/MP3 Input, Onboard Communications System, Dual Zone A/C Steering Wheel Controls, Child Safety Locks, Electronic Stability Control, Heated Mirrors, Bucket Seats. MULTIMEDIA PACKAGE SiriusXM Traffic and Weather, COMAND Navigation & Voice Control, 8.0 high resolution screen and SiriusXM Traffic and Weather, Single CD/DVD Player, Navigation Map Updates Included For 3 Years, Remote Online, Android Auto, Apple CarPlay, Smartphone Integration (14U), PREMIUM PACKAGE KEYLESS-GO, Blind Spot Assist, Heated Front Seats, SiriusXM Satellite Radio, HANDS-FREE ACCESS, PANORAMA SUNROOF, harman/kardon PREMIUM SOUND SYSTEM, LED HEADLAMPS, WHEELS: 18 5-SPOKE ALLOY Tires: P225/40R18, CONVENIENCE PACKAGE Garage Door Opener, Auto-Dimming Rearview & Driver-Side Mirrors, MATTE BLACK ASH WOOD TRIM. Mercedes-Benz CLA 250 with Polar White exterior and Sahara Beige MB-Tex interior features a 4 Cylinder Engine with 208 HP at 5500 RPM*. 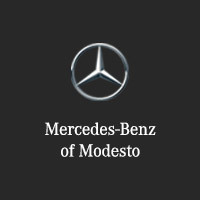 Why Choose Mercedes-Benz of Modesto? There are plenty of reasons to choose Mercedes-Benz of Modesto. Not only do we receive good reviews from Merced drivers, but we’re an active member in the community – sponsoring events and staying up-to-date on latest Stanislaus County news. We go the extra mile because we know Modesto drivers don’t simply want a good executive car, but a superlative buying experience. We strive to provide that for drivers of all stripes. So once you’ve decided on a reasonably priced new Mercedes-Benz vehicle that works for you, contact us today.